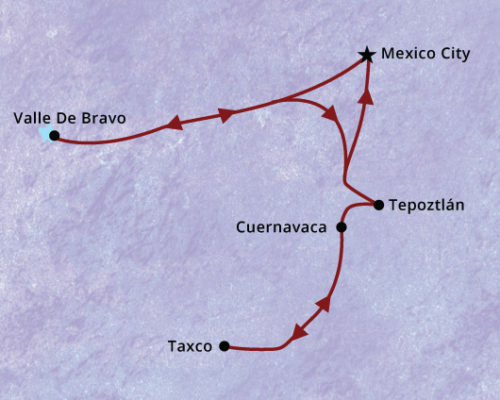 South America Travel Centre will tailor make a private tour of Mexico just for you. Your holiday in Mexico will be at the pace you prefer with as many inclusions as you desire. Here is a sample of what your tour might look like. 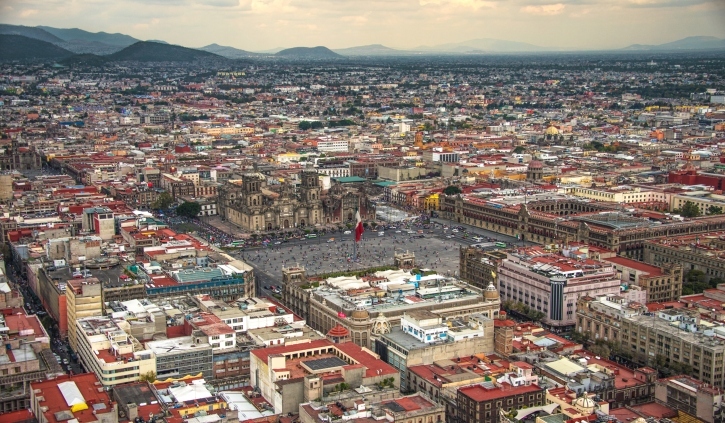 Welcome to the cultural hub that is Mexico City! Set in a high altitude, surrounded by a magnitude of mountains the city is bursting with culinary and cultural delights waiting to be explored. Discover Mexico’s Mesoamerican, colonial and revolutionary history while exploring its historical center with your personal, expert guide. What is now the heart of this modern city was also once the center of the Aztec world, Tenochtitlan. 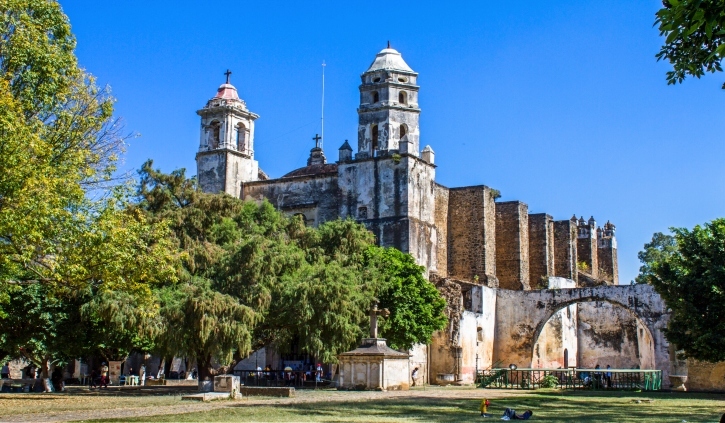 You will visit the Cathedral built upon the main Aztec temple by the Spanish conquistadors, as well as the painted representation of Mexico’s past by muralist Diego Rivera in the National Palace. You will then walk through some of the center’s iconic streets to the Palace of Fine Arts where you will explore its varied architecture. Walk in awe through the Mexican National Art Museum which holds an impressive collection of art from many well- known Mexican artists. Spend your second day in this wonderful city being taken on an exploration of visual arts by your expert guide weaving your way through different galleries and exhibits showcasing works of art within the postmodern movement, all rejecting the concept of mainstream art. This unique experience is custom designed according to your interests and the availability of the designers, galleries and exhibitions. Set around a vibrant and lush inner courtyard, complete with fruit trees and chirping canaries, the hacienda-style Four Seasons, creates an urban oasis putting the hectic hustle and bustle of Mexico City on pause for as long as you’d like. 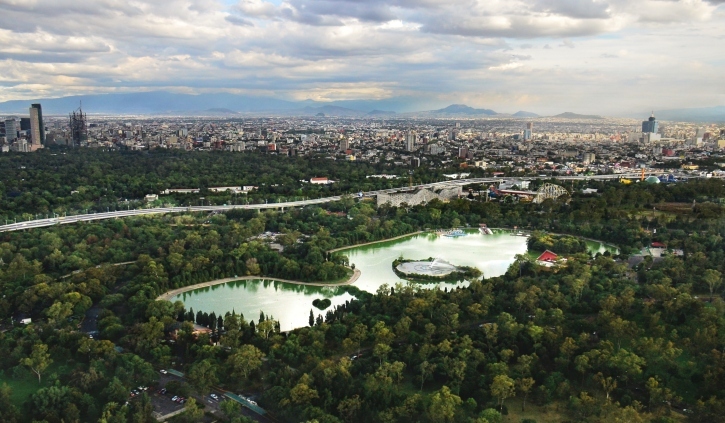 On your doorstep is the grand boulevard of Paseo de la Reforma, a short stroll from the tranquillity of Bosque de Chapultepec the cities highly coveted park and the trendy neighbourhoods of Condesa and Polanco. Mexico City’s Four Seasons encapsulates the perfect balance of luxury and tranquillity in the countries capital. Enjoy the comfort of your own private transfer as you travel the approximate 2.5 hours to reach Valle de Bravo. From mid-November to mid-March take the opportunity to visit the Monarch butterfly sanctuary en route to your hotel. 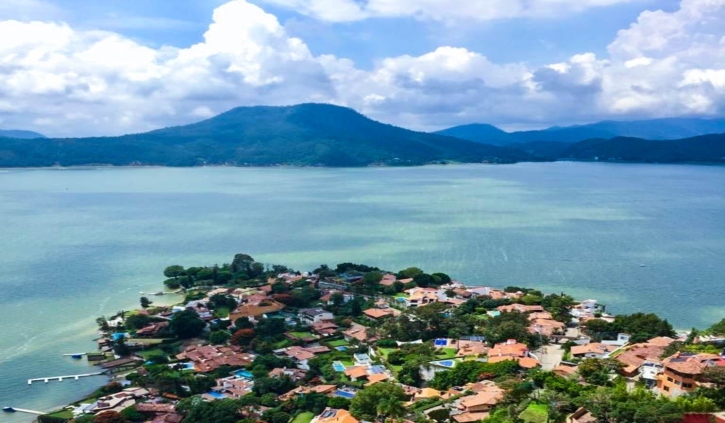 Valle de Bravo is a fairy tale like town on Lake Avandándaro, a valley surrounded by wooded mountains and lined with cobbled stone streets. Home for your next two nights, take the time on your arrival to relax and take in the beautiful surroundings for the evening. The following morning you will have the pleasure of exploring the town with your own private tour venturing into the colourful artisan market and admiring the adobe-style homes. If it interests you, discover ancient artefacts at the Archaeology Museum. The rest of the day is yours to spend at your leisure. 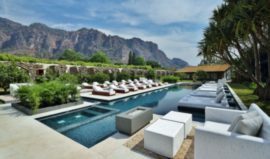 You may like to lounge by the pool, take a stroll on the property and awe in its beautiful surroundings- or perhaps enjoy wine tasting at the hotels wine cellar! Take the time to relax and indulge in a spa treatment from the hotel, or participate in one of the many activities on offer such as paddle boarding, sailing, mountain biking- the list goes on! 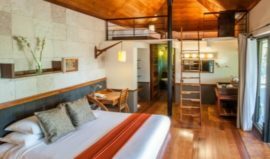 Hotel Rodavento is an eco-chic mountain lodge, tucked away in Valle de Bravo, designed to exist in harmony with its natural surroundings in an enchanted forest setting. This charming property houses 28 contemporary cabin-like suites boasting architecturally innovative and clean lines to seamlessly blend into its immediate environment. Each cabin is spacious, private and comfortable, and boasts a deck with views of the surrounding pine forest and lake. From the comfort of your king bed or whilst relaxing in your bath tub, listen to the crackling of your wood-burning fireplace and the beautiful sounds of nature right on your doorstep. The suites can easily accommodate a family as they offer lofts with separate sleeping areas. Overlooking the lake, enjoy delicious meals at the hotel’s restaurant where the chef prepares farm-to-table dinners. Hotel Rodavento is a wonderland of activities for guests of any age, including zip lining, kayaking, archery, paddle boarding and spa treatments. You can also hike, mountain bike or horseback ride along wooded trails. A private comfortable transfer will take you from Valle de Bravo to Tepoztlan, an approximate 3 hour drive. Upon arriving into the mystical town of Tepoztlan you will be greeted by towering mountains and colors and culture to excite even the most seasoned of travelers. During your time in Tepoztlan you will get the opportunity to climb the Aztec Tepozteco pyramid whilst being led by your expert guide. You will also get to wander through the market in town and explore the Ex-Convent of the Nativity, a UNESCO World Heritage Site. From Tepoztlan you will have the chance to visit the city of eternal spring, Cuernavaca and Mexico’s silver capital, Taxco on a full-day experience. Your expert, bilingual guide will lead you in exploring Cuernavaca and take you to Museo Morelense de Arte Contemporáneo, the cities contemporary art museum. You will then journey to Taxco, a town famous for its silver production. You will also get to visit the 18th Century church of Santa Prisca, which dominates the eastern side of the Zócalo. Finish your action packed time with a beautiful panoramic view of Taxco from above on a brief 5 minute cable car ride. A charming, iron gate leads to the magical world of Amomoxtli, an enchanting boutique hotel in Tepoztlán. Surrounded by ponds, tropical flowers and lush vegetation, a Saltillo-tile path leads to the main house which reflects local tradition and architectural style. Evoking serenity and calmness, the beautiful grounds reinforce the importance of connecting with nature. 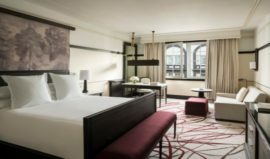 Each guest room and suite is its own private oasis with sumptuous bedding with all the comforts of a luxury hotel. Stroll through the garden, framed by rustic stone arches, to your premium suite complete with a living area and patio with a fire pit. If you prefer something larger, tucked away is a three-bedroom cottage with a comfortable living area and a private terrace. You might never want to venture off the mystical grounds of Amomoxtli. Today your journey through the Mexican countryside concludes with a private transfer back to Mexico City. You may wish to add on some additional time travelling through Mexico or continue your holiday down to Central or South America. Our expert travel consultants are able to tailor-make your itinerary to suit your holiday needs, whatever they may be. Call 1300 784 794 or email contact@satc.com.au for a quote.